Options for affordable Bathroom Renovations ideas! Do you want to redesign your bathroom? Do you think you need extra money to create relaxing bathroom? Don’t worry, now you can brush up this cool place and renovate it in a better way in a limited budget. What type of changes you need to make? How much money are you planning to spend on bathroom remodeling? Depending on answer to these questions, you can opt for affordable bathroom renovations. Bring small changes like adding new sink, changing old fixtures, painting bathroom, etc. Bring large changes like adding new tiles, adding shower panel, changing window, etc. If you are hiring services of contractors to lay down tiles for you then it will prove to be an expensive affair. Focus on adding tiles to highly visible areas like bathroom flooring rather than including it in shower stall walls. Limiting amount of tiles can allow you to save money and opt for affordable bathroom renovations. In case you like any artistic tiles that are expensive then combine it with ordinary tiles to make bathroom flooring look different. Don’t select expensive bathroom countertops, like that of kitchen countertops. Bathroom counter tops can be selected in colors which are not popular so that you can avail it at affordable price. Don’t select neutral colors like beige, brown, tan color, etc. adding granite countertop is the latest trend that you cannot really ignore. Look for countertops that are not perfect. If the imperfection is highly visible then you can get it at discounted price. Buying imperfect countertop is advisable because most part of it will be covered by sink. In order to make dresser sink, now you don’t have to spend many dollars. Having right tools and maintaining patience are key points to keep in mind while creating dresser sinks. Repainting is considered as best part of affordable bathroom renovations. It can give new look to your bathroom in a most effective way without even spending a lot of money. Painting takes maximum time because it is essential to remain careful with bathroom mirror, bathroom sink, shower panel, wall corners, etc. It is advisable to invest money on buying good quality of paint so that moisture and changing bathroom temperature does not affect the painting appearance. Control growth of mold by using high quality of paint for ceiling also. Changing old fixtures is essential to get appealing look for your bathroom. It is affordable bathroom renovation idea that can give a new look to your bathroom. Change lights, drawer knobs, towel racks, sink faucets, etc. Don’t overlook need of grout and caulk. Grouting is done to fill the required space between tiles. Caulking is done around edges and also caulk is soft and flexible. In order to freshen up your bathroom, you can make use of inexpensive grout or caulk. Are you planning to replace old shower panel or tub? If yes, then consider the fact that it can cost you a lot. Reline it instead of replacing it. This cannot be done with sink or shower fixtures because refinishing them can cost you a lot. It is important part of affordable bathroom renovations which you should not ignore. Some vintage bathroom fixtures or old tubs should not be removed but it can be successfully refinished. 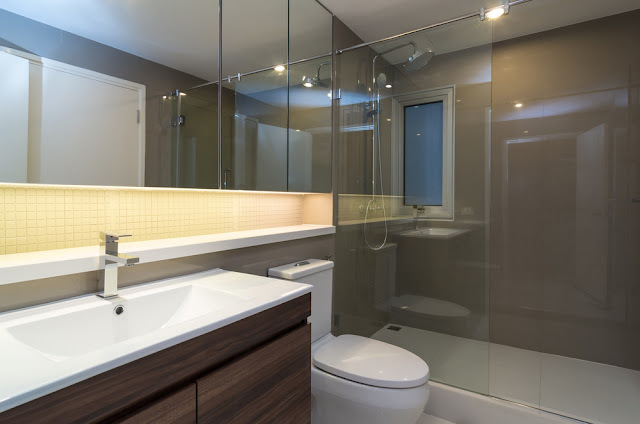 Consider above mentioned ideas while opting for affordable bathroom renovations. Get more details about bathroom renovations.